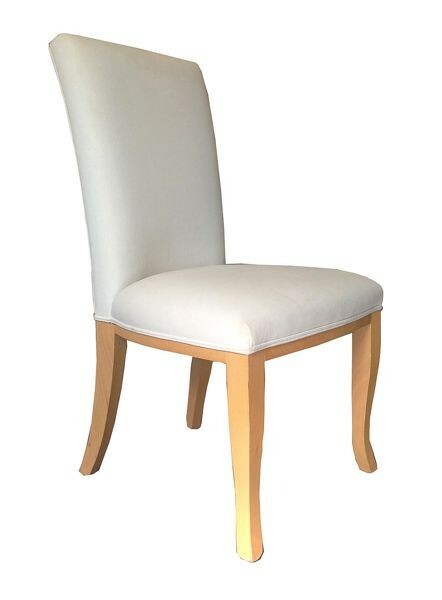 Straight back dining chair with curved legs. Requires 2 metres of fire retardant fabric. Available with stained beech or oak legs. Also available with nailing.